Volbella is designed to add volume to flat and thinning lips as well, as smooth the vertical lines on the mouth for a more youthful appearance that's natural and subtle. At Advanced Plastic Surgery Center in Arlington, VA, plastic surgeon Dr. Talal Munasifi can create a unique Volbella treatment plan for you based on your individual needs and goals for the best results possible. If you're looking to improve the overall appearance of your facial features and want to combat the signs of aging, then we encourage you to schedule a consultation at our practice today to learn more about how we can help revive your youthfulness and make you look and feel your best. Volbella is FDA approved and very effective at targeting areas of skin that are thinning or sunken in for a more voluminous look. Volbella XC injections can be performed in the office, usually on the same day as your consultation, though you may schedule it at a different time if necessary. Like most all of Juvéderm products, Volbella's formula contains lidocaine to minimize the discomfort during your treatment, so numbing cream or an additional local anesthetic is usually not needed, though we can discuss comfort levels and different options before your procedure. Once the lips are cleaned and the injection sites are marked, we will carefully inject Volbella into the lips. We may deem it necessary to perform multiple injections to reach your aesthetic goals and depending on how severe the case is. You will be able to return home and back to your normal activities right after your injection. You may notice some swelling or redness in the treated areas, but this should be mild and last no more than a few days; you can also use cold compresses to reduce any inflammation or irritation. Some results may be visible right away, but the final results usually take around 2 – 4 weeks to appear as the Volbella begins to settle. Overall, you should be able to enjoy your new plump lips and added volume for up to one year. After that, we can discuss maintenance treatments and other cosmetic options that will help preserve your new, youthful look. Thinning lips and lines around your mouth can make you look much older than you actually are and detract from the rest of your facial features. If you're ready to gain back that radiant volume that you've been looking for, then call our Arlington, VA practice to learn more about Volbella. You can see how it adds back youthfulness and fullness to your lips and reduce your lip lines. We have multiple solutions to help address wrinkles and flat skin, and Dr. Munasifi can create a custom plan to help enhance your appearance. 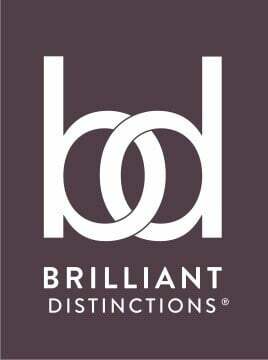 We participate with Allergan’s Brilliant Distinctions reward program! Click to sign up and start accumulating points for a discount on your next injection!